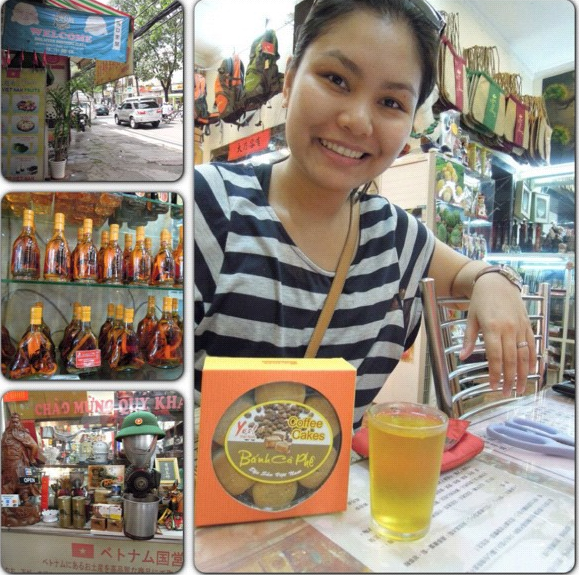 Day 2 of Backpacking Saigon: 8 City tour sites in under 8 hours! Rubel and I initially planned a DIY City Tour, so we asked our hotel receptionist, Ms Thu for a city map. As soon as she handed a copy, my beau and I immediately looked for the major sites nearby. Since most of the areas were a bit far from each other, we eventually decided to book a guided travel. 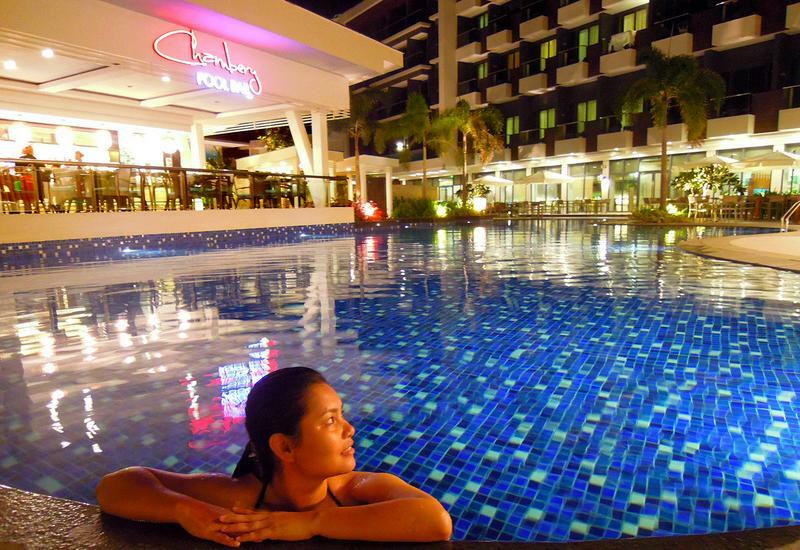 Nguyen Khang Hotel was also offering different kinds of excursions. But we only availed of their USD 9/pax DAILY CITY TOUR, which was operated by Youth Tourist Joint-Stock Co.
We were going to be picked up at the hotel at around 8:30 AM, so we still had time to eat our complimentary breakfast while waiting for the guide. Our guide was a nice, Vietnamese local named Taó. He immediately escorted us to an airconditioned shuttle right after greeting us that morning. A couple of Australians, Europeans, Malaysians and a Filipino were already on-board the van. The museum both exhibits and exposes "war crimes" that were executed first by the French and then the Americans. The war gallery was formerly called the "Exhibition House of Wars and Aggressions". I was deeply saddened by the photos and accounts of those who were greatly affected by the different wars that were operated several decades ago. I could not forget the face and deformed bodies of children who had to experience the side-effects of 'Agent Orange'. This wasn't included in our itinerary. But we definitely expected it. I think I've never been on a tour that didn't have detours to their local souvenir shop. In all fairness, the goods that were being sold in Shilaiten were actually very tasty --- except maybe for the cold tea (it was bland!). 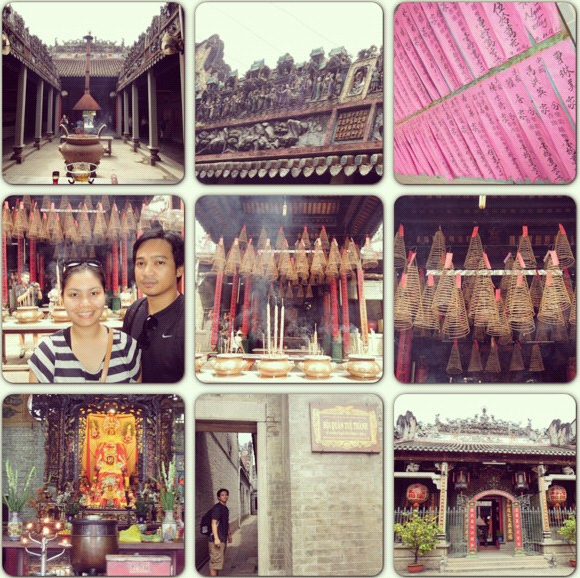 The Thien Hau Pagoda (also known as The Pagoda of the Lady of Thien Hau) is a Chinese temple. The temple is solely devoted to the Lady of Thien Hau, who's also referred to as the 'Lady of the Sea'. Solemn prayers that were written in pink paper can also be seen on the sides of the holy site. Incense burners in different shapes and sizes can also be viewed and purchased from the temple. There wasn't anything worth seeing from this site (the Central Market of Chó Lón) nor did we fancy anything that was worth purchasing as well. We were actually given an hour to roam by ourselves. But after a good 10 minutes, Rubel and I decided to ditch the market to get some late lunch at KFC (just across the marketplace). The tour didn't provide free lunch by the way. I wouldn't really see the Handicraft Workshop as a tourist spot. But I would give the venue a few brownie points for the interesting things that I learned back there. I was enlightened on how to make ceramics by only using eggshells as its main material. 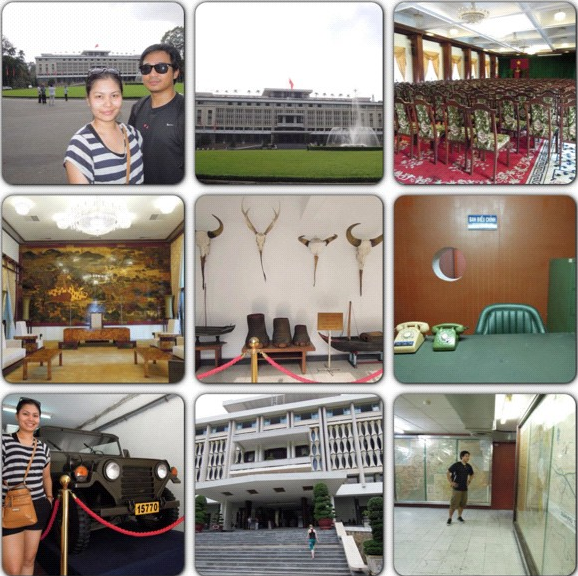 Also known as the Independence Palace, the Reunification Palace is considered as one of the famous landmarks of Ho Chi Minh City. One of the former President's of South Vietnam (during the Vietnam War) used the palace as both his office and abode. I was already in awe as we came approaching this magnificent church. The Notre Dame Cathedral was just a short walk away from the Reunification Palace. And boy, was it amazing! Also known as Saigon-Notre Dame Cathedral Basilica, the famous 58-meter high, two bell tower sanctuary was built by the French colonists. The post office was just literally across the Notre Dame Cathedral. So we were able to head there right after viewing the church. The edifice was built during the French Indochina period. It was built and constructed by a famous architect named Gustave Eiffel. He had the post office designed with a 'Gothic architectural style' to it. Our tour ended at exactly 4:30 PM. So we no longer got to see the CITY HALL since we ran out of time. We were still missing a couple of major city sites. But Rubel and I were determined to visit the remaining ones on our third day in Saigon. P.S. Don't forget to read my Backpacking in Saigon: Day 1 in Ho Chi Minh City, where I got to post my 4-day TRAVEL EXPENSE SHEET. I also have a picture with the tank, notre dame and post office and those were the only place I visited in my one night in Saigon plus a dinner cruise there. The Thien Hau Pagoda, Reunification Palace, and the Notre Dame Cathedral are the noteworthy places for me, not really fond of markets whenever I travel to another country. I like city tours. You seem to be an experienced traveler so if I may ask - would you recommend a DIY city tour or a packaged one? I would like to learn how to make those ceramics using the eggshells as their main material. 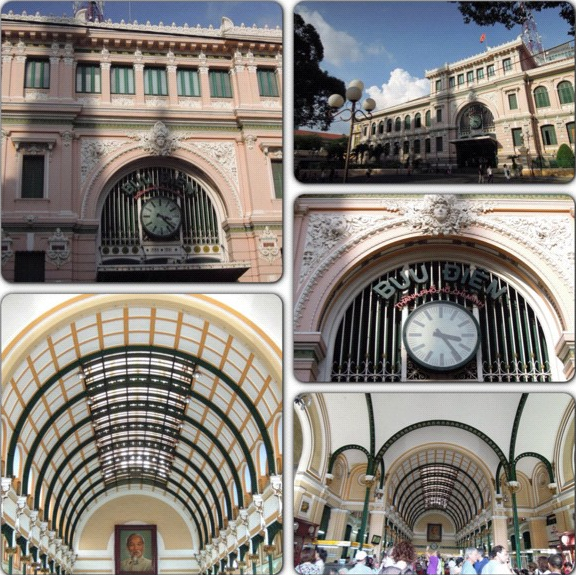 wow that's a lot of interesting places to see in Saigon in just 8 hours! I would like to visit soon the War Remnant Museum..
shopping will always be on the list, haha. what's the major language in the city? What a great adventure, I miss travelling and I really want to see places like these. 8 city is a lot of place to visit in 8 hours, that is great. Shopping de tour is the best. Wow! how did you did that? parang isang site/hour ah. But If ever I have the time to visit Vietnam then yung mga pagodas nila will be my first priority. 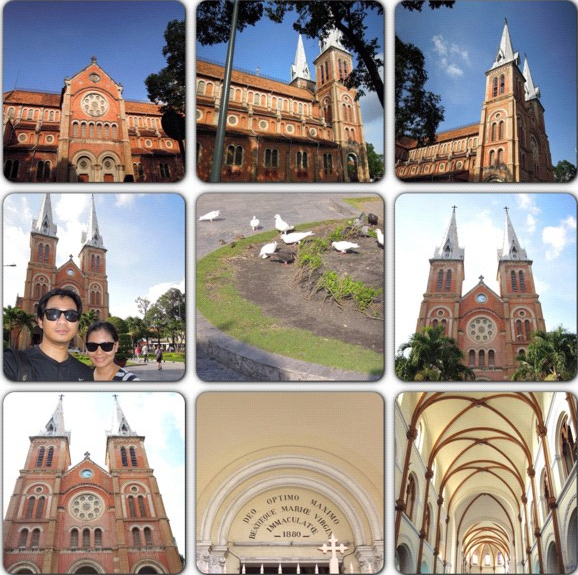 very nice tour of Saigon! 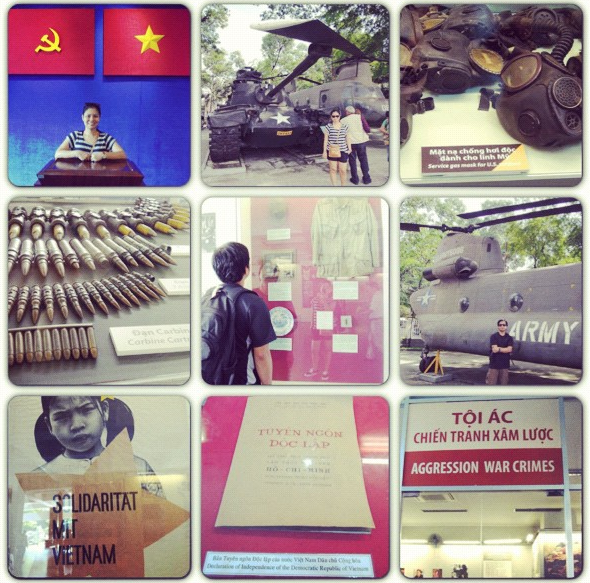 so much history..
Must-see talaga ang War Remnant Museum! Kahit depressing to go around, very educational pa din. Hi Raizamae! Sadly, I don't know the answer to that. But plenty of locals do understand and speak English. :) But there was still a language barrier at some point. Hehehe.. shopping can be tiring too!